There comes a point in time when you need to tackle that pile of quilt tops. You know. That mega pile in the corner. It’s barely holding on to it’s straight pile position– at any moment it could topple. Yeah. 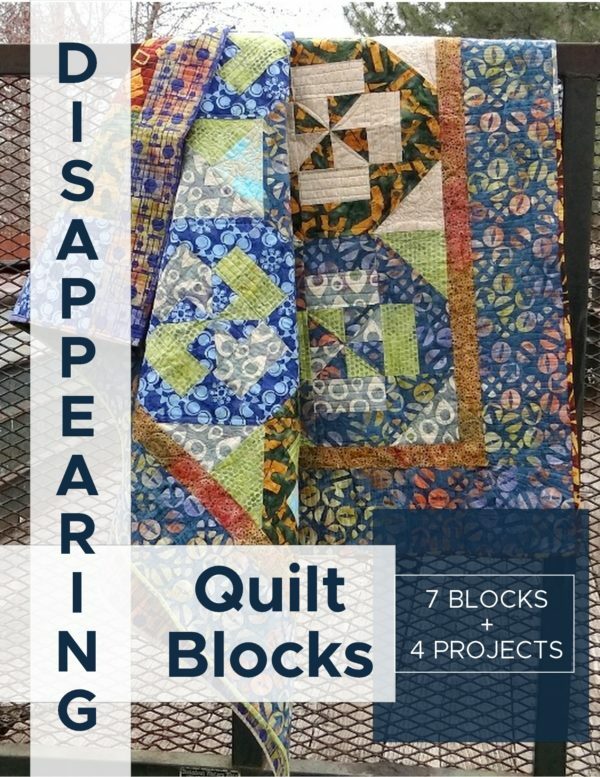 There are things though that stop us from putting those quilt tops into a finished quilt—- what are they? I’m afraid to use my sewing machine for machine quilting. Or- I don’t know how to put the layers together. Or- I’m just not that great at quilting or whatever! I can’t help you with the not that great part- it takes practice and kind of a lot of it to feel comfortable with machine quilting. I can only suggest you get started and give it a try. Start with smaller projects as well until you get the hang of it. 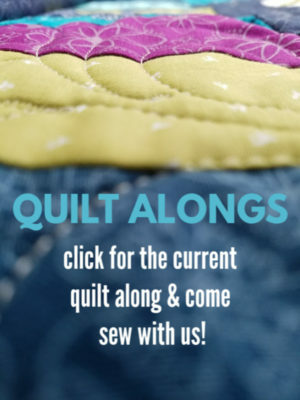 For more help on using your standard sewing machine for quilting though, go here. 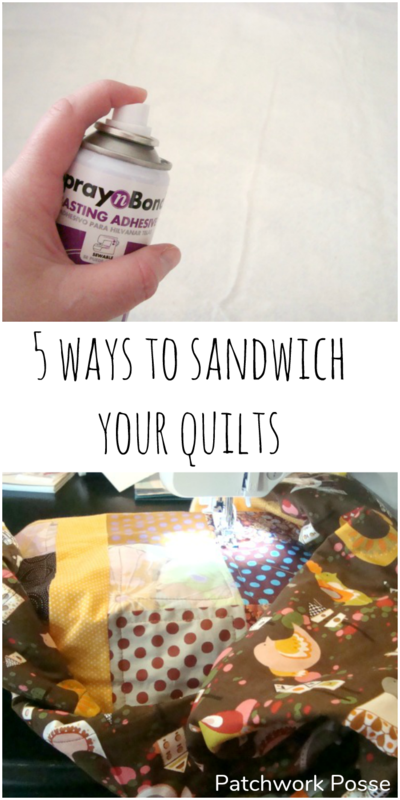 But today we are going to tackle the putting together your quilt sandwich. We will hit each one and if you have any questions, drop it in the comments- we will help get those cleared up for you. Let’s get going! *if you find little ripples, pull the fabric up and smooth out again. *I turn over when it’s finished to the backside and make sure that there aren’t any hidden puckers or bumps. 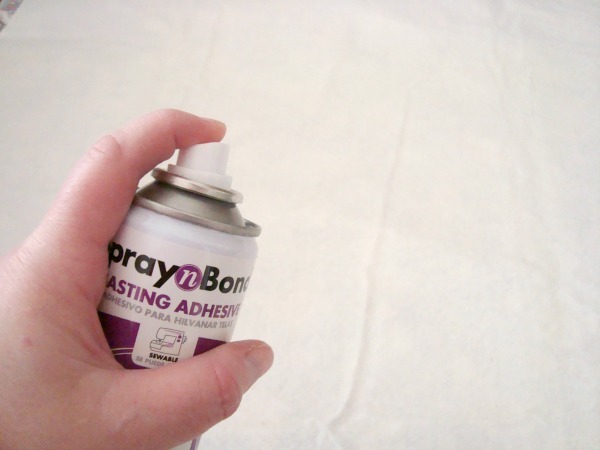 If there are, carefully peal back the backing, give it a few shots of spray basting and then smooth it back down. There is even something called wall basting that you might want to check out as well. You can use this tape. 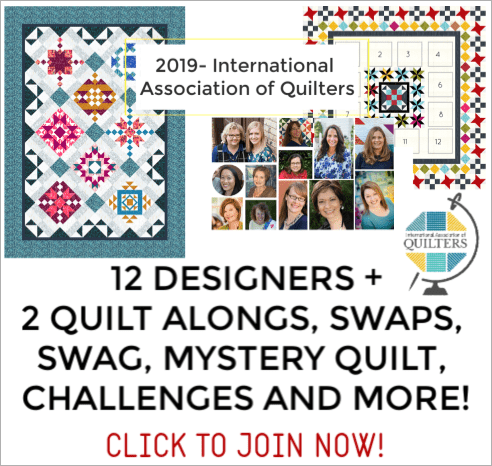 This involves the same process as above—-however, the quilt is larger than that mini shown and you really need to get those layers flat. You will need to have a large surface where you whole quilt top can lay out flat. Sometimes that’s a table, sometimes that’s the floor. A hardwood floor is best as you can stick tape to it- carpet is a bit tricky. Make sure you clean or sweep it before you begin or your backing will catch onto every single piece of lint it finds! There are a few options at this point. You can PIN everything with safety pins OR you can take a look at how to use the spray basting again. Either way will get your quilt sandwich put together. Having completed the process above with the taping your backing to the floor and making sure it’s a smoothed out and everything is layered properly, you will begin pinning. There are a few special safety pins you can pick up and use, I have used them and the regular ones just fine. The thing with the special basting ones is they are slightly bent so you don’t have to contort yourself to get that pin back up to the top and closed! Some of you might know what I’m talking about. Pin away. Now, you’ll be tired and your back will hurt, but if you skimp on this step and not do as many pins as you need, you will be sorry. Here is the pin basting rule. Stick your hand- open- on top of your quilt. You will NOT want a space larger than that without a secured pin. If you allow large spaces between the pins, you’ll get puckers on the back and that is not fun! Plus, fabric does have a stretch and things get shifted and folds or puckers can happen that way as well. You are better off with more pins then not enough. Believe me. —-when you are quilting, remove the pins along the way. DO NOT sew over them. Bad news. The Quilt as You Go technique is a lot of fun. Whether you are trying it out for the first time or becoming pretty good at the method, it’s something everyone can do. The idea is that when you are finished with the top, you are finished with the quilt. Here’s a video to show you the process. This is a blend of a few options above. It is batting— that has been treated with a spray basting glue and is ready to use. No need to spray, use fumes or anything else (and believe me, when it says to use in an open area or outside– do it). You will need a large table with your ironing board and iron handy. You’ll be ironing the quilt top and the backing to the batting. The fusible will do just that and all the layers will be adhered together. I do find that I need a few pins here and there where the glue hasn’t worked all that well. I also have found glue ‘blob’s in the batting- just pick those out before starting. You seriously don’t need that much in one spot. This product I used a lot before getting my long arm. I washed many quilts and have never had an issue with it. 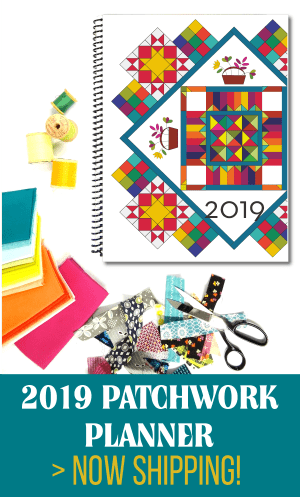 I say, start with a small quilt when using this to understand how it works and what is needed to get it to work to your liking. Do you have a fabulous way to get those layers together? what’s your secret?